I looooooove strawberries! They are my favorite food ever! 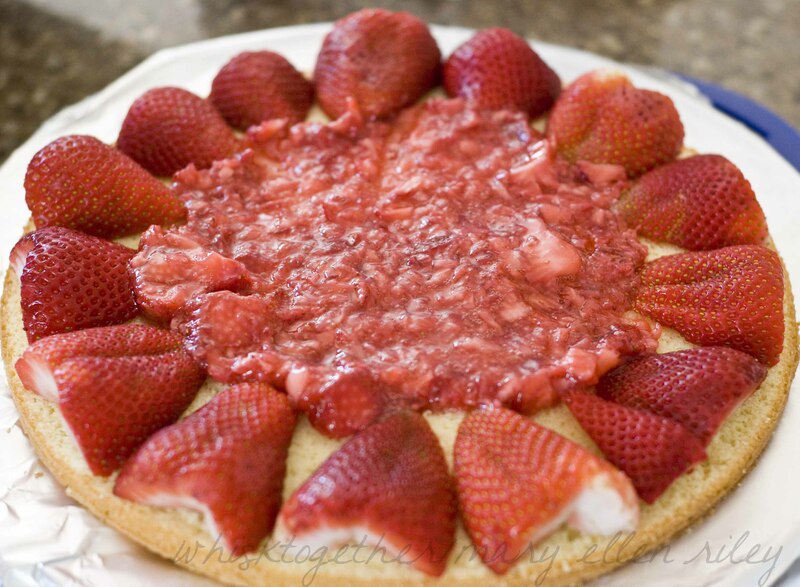 So, naturally I love strawberry shortcake and anything strawberry related. This recipe has a few steps and I did break it down over two days, but it was really worth it. Plus, now I have a super awesome way to make cream cheese whipped cream by just using the recipe below for the whipped cream on here. If you need a topping for your ice cream, try the strawberry filling recipe. **Recipe Update 5/15/16: We accidentally left the butter cooling in the fridge…. and forgot to add it to the cake. The cake didn’t rise as high of course. We made a two layer cake instead. But, it tasted great! Tasted like angel food cake really. **To simplify the whipped cream for the kids (okay, it’s cheaper this way actually): We mixed 1 tub of Truwhip (like Cool Whip but without the antifreeze ingredients), 8 oz. of cream cheese, 1 tsp vanilla and 3 Tb. of powdered sugar together. It wasn’t super sweet. But I liked it that way. Feel free to increase the sugar if you like your desserts sweet. 2. Take 3 Tb. out of the 1 cup of sugar and set it aside. 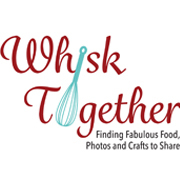 Whisk Together your flour, baking powder, salt and rest of the sugar. Add in the 2 WHOLE eggs and 3 egg YOLKS, melted butter, water and vanilla. Whisk it all up until smooooooooth. 3. If you have a kitchenaid, attach the whisk attachment. Pour in the egg WHITES and a little cream of tartar into the bowl. Whip on medium low for 1 minute. You should see some foam on top. Whip on medium-high for 1 minute. Slowly, add the 3 Tb. of sugar you saved earlier to the mixture now while still on medium-high. 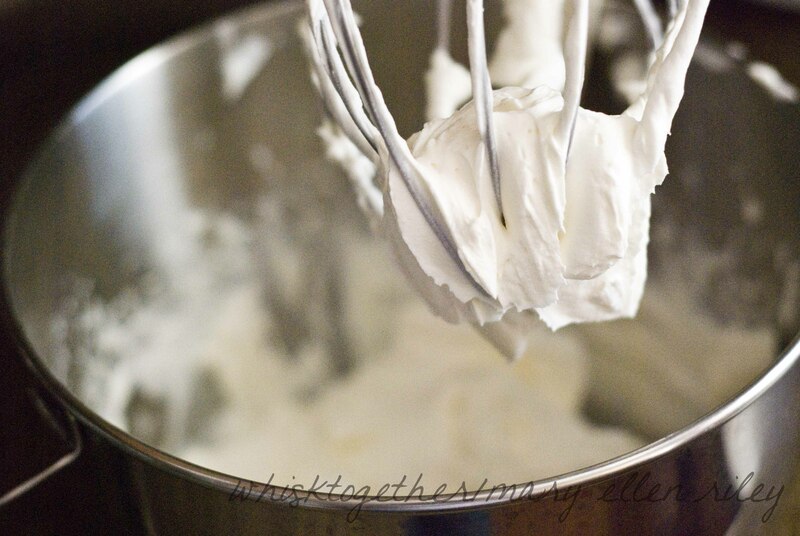 Whip to Soft Peaks – 1-2 minutes. 4. Stir 1/3 of the egg white mixture into the cake batter. Then, take the rest of the egg whites and fold them into the batter until no white streaks remina. 5. Bake cake for 30-40 minutes. Mine was done at 30 minutes. Smells great. Cool completely and I kept mine wrapped in plastic wrap and in the fridge overnight to assemble the next day. Or you could wrap and freeze it for a month. 1. Take 24 of the pretty strawberries and slice them in half. 2. Cut the rest of the strawberries into fourths and add 4-6 Tb. of sugar. Strawberries aren’t too sweet in April… so I added shy of 6 Tb. Stir that up and have it sit for 1 hour. Afterwards, strain the strawberries but KEEP the juice. Put the strawberries into a large or small food processor and coarsely chop. Take the juice and put it in a small saucepan over medium heat. Reduce that about 10 minutes or until you get about 3 Tb. of liquid left. Pour that reduced liquid and the 1/8 tsp. 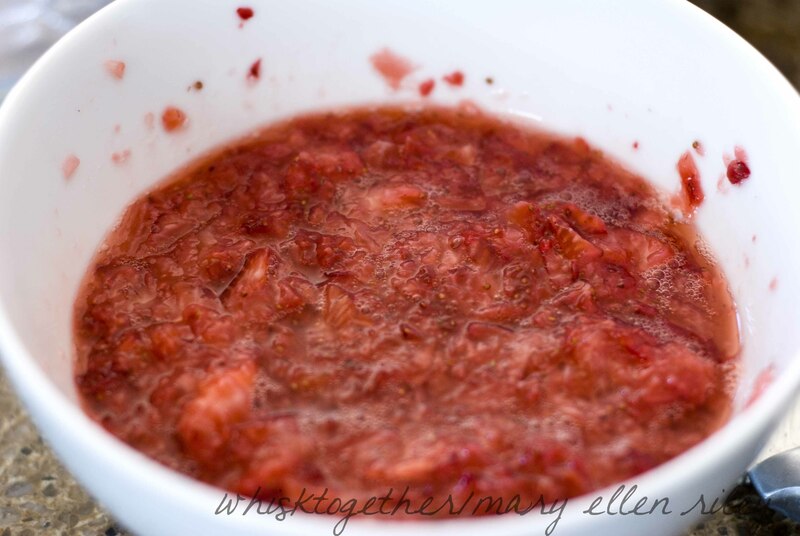 onto your coarsely pureed strawberries. Mix together. I covered and stored this mixture in the fridge overnight to make the next day. Or use it freshly made. Whatever floats your boat. 1. Using the whisk attachment if you have it, whip the cream cheese, sugar, vanilla and salt on medium-high for about 1 minute. 2. Turn down your mixer to its lowest setting (or you’ll have flying cream!). Very slowly pour in the heavy cream. 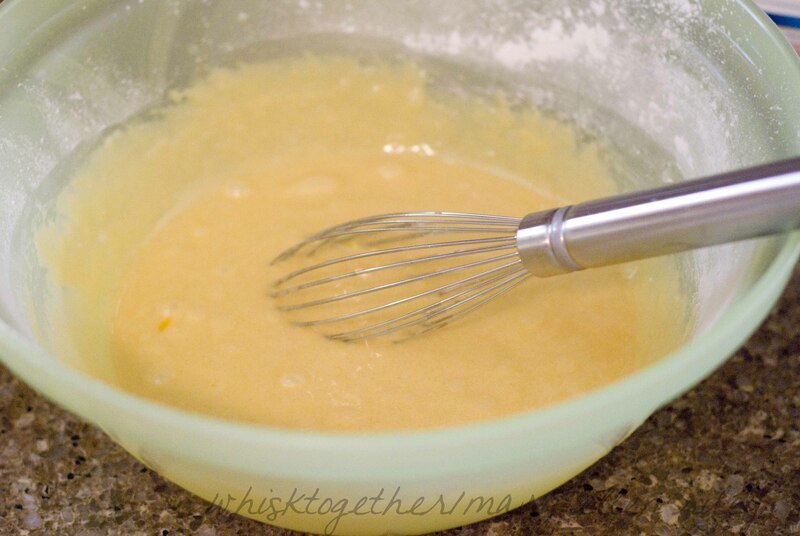 Kick up the mixer to medium high until Stiff Peaks form – about 1-2 minutes. 2. 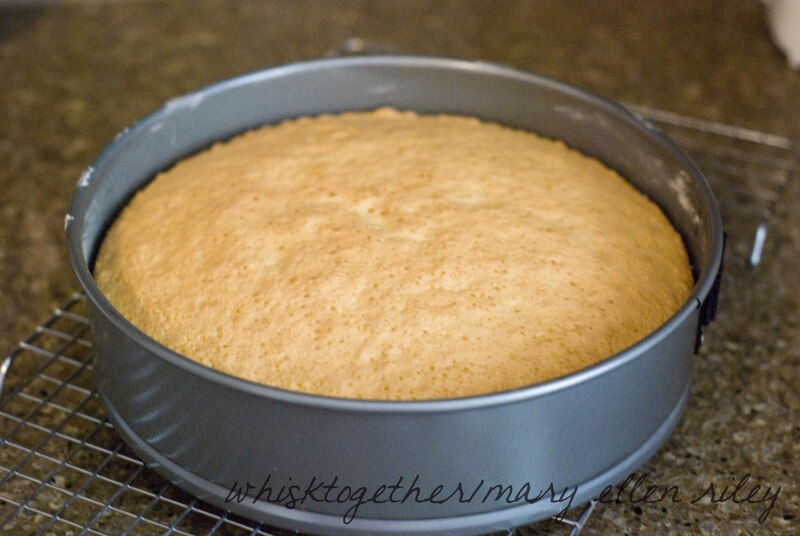 Put the first cake layer down on the platter. 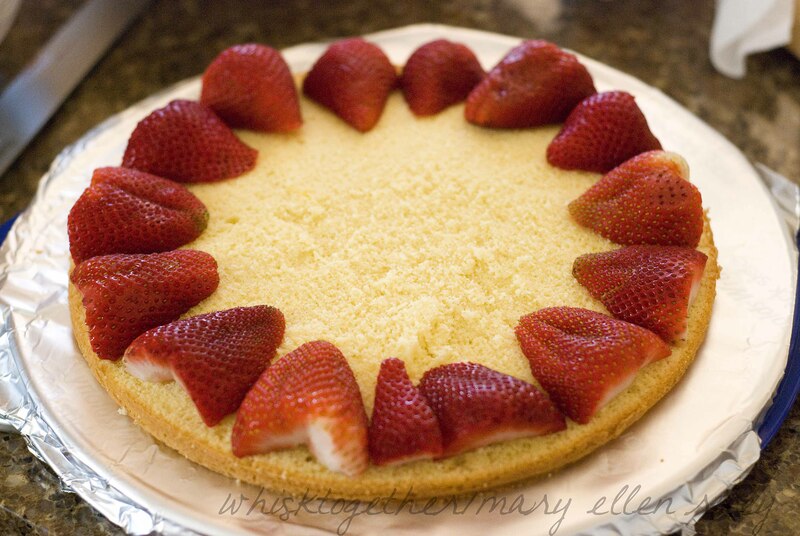 Lay 8-10 strawberry halves out in a circle on the perimeter of the cake. Then, put half of the strawberry puree mixture in the middle. 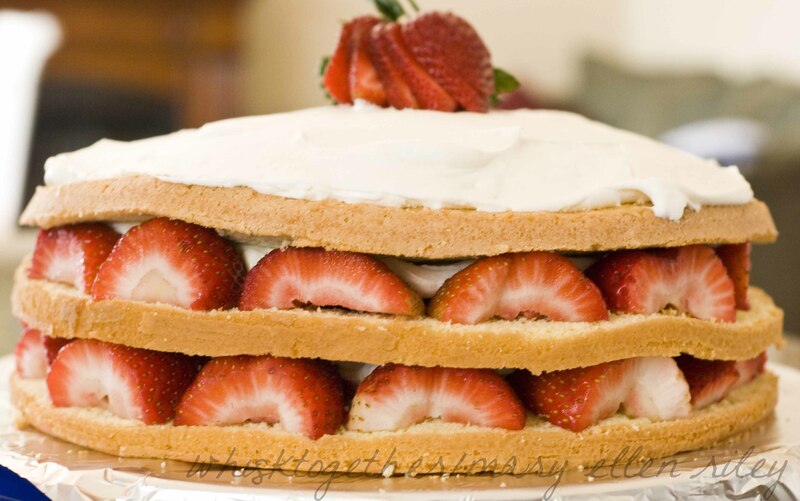 Spread with a spoon to just the tips of the strawberries – not the edge of the cake. Finally, spoon one-third of the whipped cream mixture into the middle and spread on top of the puree – but not the edge of the cake. 3. Put the second cake layer down on the whipped cream you just put on. Lay8-10 strawberry halves out in the same circle like the first time. Layer the rest of the strawberry puree on again. Layer one-third of the whipped cream on again. 4. Add the final layer of cake on top. Spread the remaining whipped cream on top (the last one-third). Add more strawberry halves or fan out a pretty single strawberry. Keep refrigerated. Wooo hoo!! It is all done. 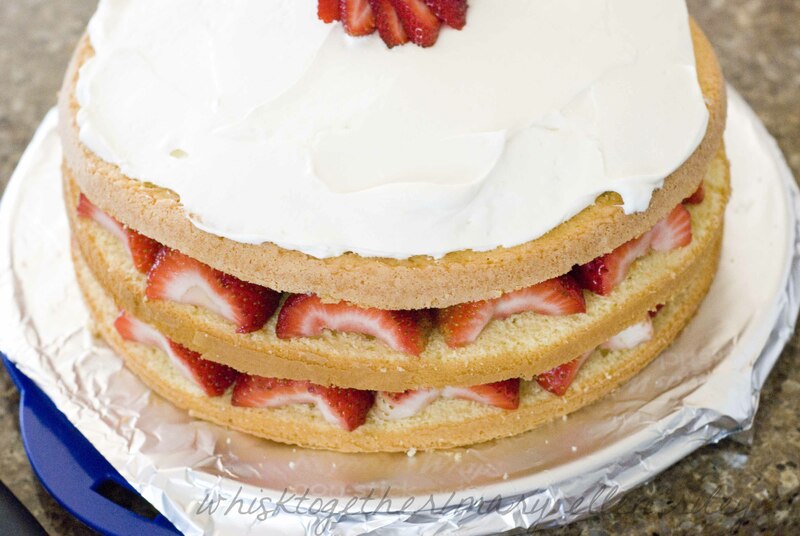 Consume within 4 hours and you will have lovely layers of cake, strawberries and whipped cream. 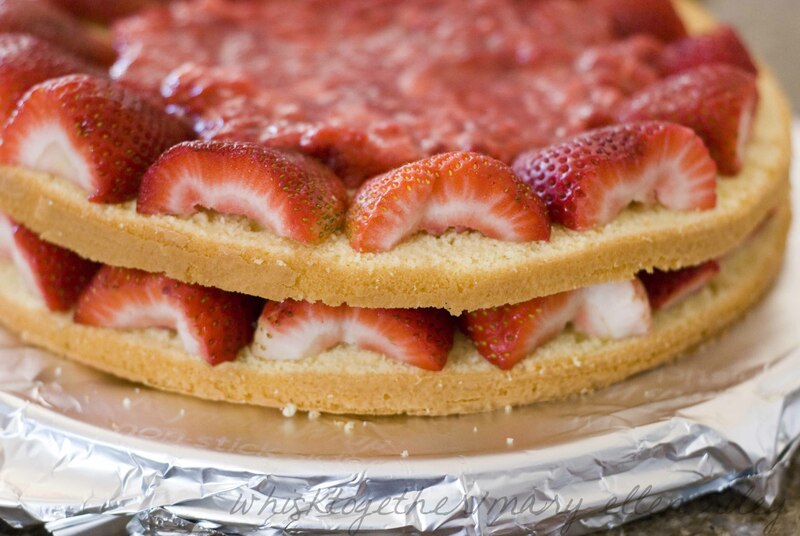 After 4 hours, the cake is still great, however, the strawberry puree will ooze a little bit into the cake layer. No biggie. This is beautiful and oh so yummy!